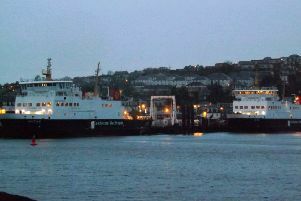 Caledonian Maritime Assets Limited (CMAL) has picked up a national accolade for its refurbishment project at Wemyss Bay Ferry Terminal. CMAL received an RICS Infrastructure award for its £1 million upgrade of the Grade A listed historic timber pier walkway, which connects the terminal to Wemyss Bay Station. The walkway dates back to 1903 and is a prominent wrought iron and timber clad structure with a slate and glass roof. The upgrade was part of a £6m investment in the ferry terminal, which also included a new fendering system, reconstructed concrete pier roundhead, refurbished linkspan and installation of a corrosion protection system, while the harbour was also dredged.